Please take a look around our Web Hosting Control Panel demo. Note some features such as File Manager and Snapshot Backups are disable for security reasons. Snapshot Automatic Backups Snapshot backups are our fully automated backup service that takes a full backup of all your website and databases. This then gives you the ability to restore your website from any day in the past 30 days from the hosting control panel. Our Business Pro Plan is the perfect choice for medium to large online shops, with free e-commerce 1click installs. Daily backups of your site and its databases. Giving you the ability restore to any point in the last 30 days. Our Cloud Hosting plans come with some of the best online software available, from web publishing scripts such as WordPress, Joomla and Drupal; The latest E-commerce scripts such as Opencart, Presta Shop and osCommerce; along with an excellent selection of other web applications to help you get the most from the web. Checkout a few of our favorite 1Click apps below. A powerful, easy-to-use, industry leading blogging and website content management system. A free open-source web content management system for building websites, which powers some of the busiest sites on the web. An open-source content management system, easy-to-use even for those with minimum technical skills. With in-context editing. A turn-key “out of the box” e-commerce shopping cart solution, search engine friendly and packed with some great features. An open-source e-commerce shopping cart solution, coming with all the necessary tools for your on-line shop. Is an open-source bulletin board, forum software solution which is user friendly, easy to administer and flexible for design. Customer relationship management (CRM) system designed to help you to increase sales, grow and retain customers. Why not enhance your web hosting with one of these great add-ons, simply add to your order after choosing your web hosting package. An Exchange mailbox keeps you connected, wherever you go. With a 10gb mailbox, free mobile device support, Webmail, enterprise level spam filtering and virus scanning. Why not extend the space of your existing mailbox to 2GB for just £9.99 per year. goMobi creates a dynamic and valuable mobile Website for businesses who want results. This great software gives you the choice of over 500 premium template designs. Point multiple domains to your primary hosting account. Hide your personal details on any .com, .net, .org, .biz or .info domain name. Protect your home or business PC from viruses spread via email. Perfect for business websites looking for personalised security & to give visitors extra reassurance. Add a MS SQL Database to your Windows Web Hosting (Windows Only). Our Search Engine Submission service will help your business get found online. Optimise and submit your website to hundreds of search engines and directories. We take daily backups of your site and its databases. This add-on gives you the ability restore to any point in the last 30 days. Our nameservers are ns.mainnameserver.com and ns2.mainnameserver.com. All web hosting accounts are activated in real time, 24 hours a day, seven days a week. We send your welcome email with your Account login and Web Hosting details. 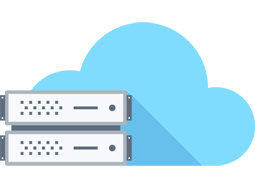 We offer a no-questions-asked 30 day money back guarantee on all cloud hosting plans. 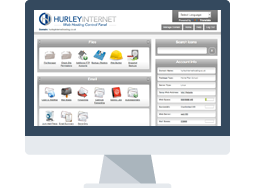 If you are for some reason not satisfied with our hosting plans, simply send us an email to sales@hurleyinternet.co.uk and we will refund you right away. What is the size of a standard mailbox? Standard mailboxes have a capacity of 400MB – You can increase the quota of your mailbox to 2GB by upgrading to a “Premium Mailbox”, these are available via the “Add On’s” section of your customer area. Yes, you can upgrade your hosting plan at any time after purchasing from in the customer control panel. Do I actually own the domain name?